Kate & Caboose Win Gold! 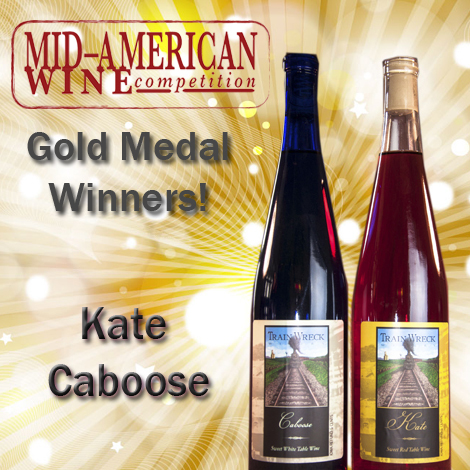 We’re pleased to report Kate and Caboose both won Gold Medals at the Mid-American Wine Competition! As two of our best selling wines this just confirms what our fans already know… Kate and Caboose are very tasty wines! Congrats to our winemaker, Steve Larson!